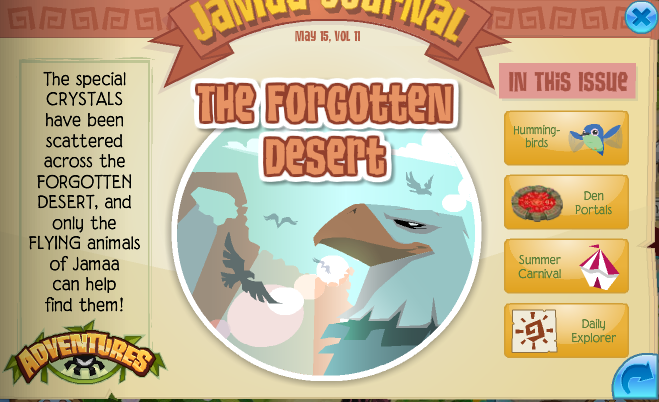 A new jamaa journal came out today here is all of it even with comments of the journal underneath each page be sure to enjoy! Well the adventure for eagles came out and its just for eagles. 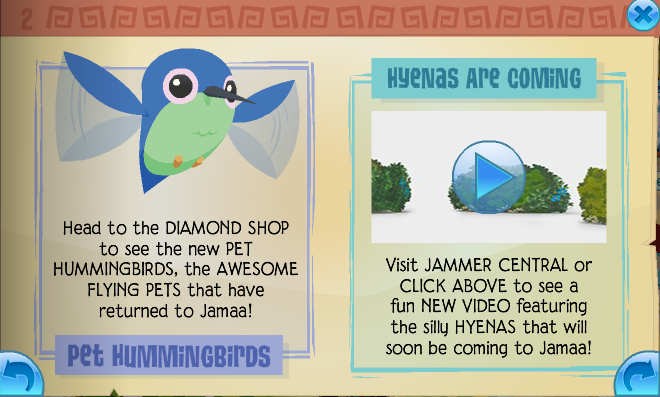 Pet humming birds wow ajhq has a new pet and hyenas are coming make sure to watch the video. nonmembers which I think isn't fair. 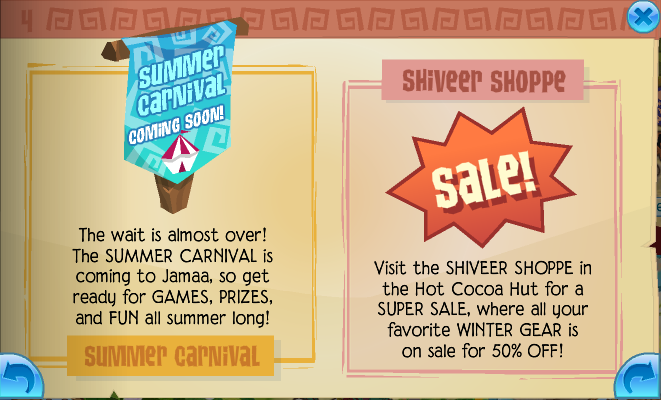 The summer carnival is coming back to jamaa can't wait to go there and all stuff is 50% off at shiveer shop I can see why its almost summer. 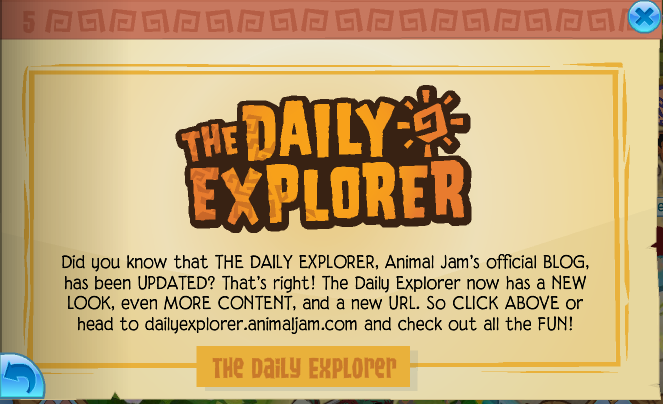 Last page the daily explorer! 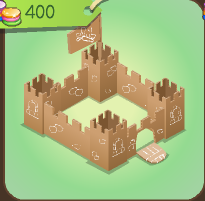 So yesterdays new item was a cardboard pet house I think its so cute and its for nonmembers great thinking ajhq which you can get from the pet shop in appondale. 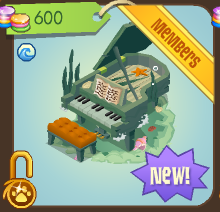 And the last item for today is a piano which you can get from sunken treasures. I have a few annoucements! 3. I will have a plushie comic soon so stay tuned for that announcement coming soon! 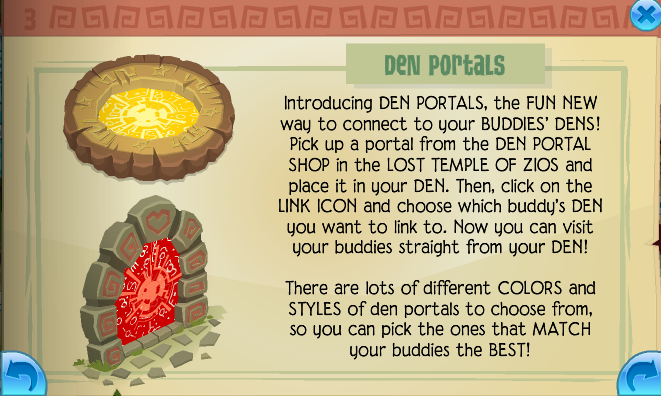 It's so weird how there are den portals now. Me and my friend (in real life) were just talking about how it would be SO COOL if we had portals in our bedrooms that lead to each others rooms. LOL! Thx for commenting on my blog and following me could u tell some of your friends about the blog?